The Children's Room: TakeYour Child to ther Library Day! 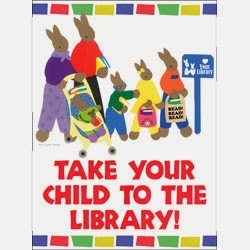 TakeYour Child to ther Library Day! This annual nationwide event will be held at the Springfield Town Library Saturday, February 1. Cathyann will paint faces and book character Skippyjon Jones will greet children from 10:30 to noon. Pick up a goody bag and enjoy refreshments (while supplies last). Everyone is invited!! It's The Snowy Day Month!